As a follower of the Karma Kagyu path, I've seen different people do different practices. Obviously we all do or did the ngondro. And then some more. Then many continue with the Guru Yogas of Mikyo Dorje ,Karma Pakshi, or Milarepa. Others do Green Tara, Chenrezig, or Vajrayogini. Other practices, like Chakrasamvara, Gyalwa Gyamtso, Mahakalu, Gampopa's Guru Yoga, the 6 yogas, etc, seem to be mostly done in retreat only (although I know exceptions to the rule). So I was wondering, what other practices do you know are being done by those outside of retreat, living a householder's life? In daily life, lojong practices, and Mahamudra, are the core of the path. 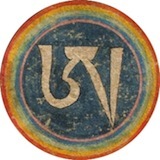 I do Kongtrul's White Tara sadhana, "The Wish-Fulfilling Wheel" as a daily practice, as suggested by a number of the senior Takpo Kagyu teachers including Tenga Rinpoche, Khenpo Karthar Rinpoche and my root lama, Thrangu Rinpoche. It feels like a very appropriate practice for our times, given the ongoing tsunami of fear, strife and environmental disharmony that we're all trying to learn to cope with. conebeckham wrote: In daily life, lojong practices, and Mahamudra, are the core of the path. Thanks Cone. Indeed, I was referring to daily sadhanas. I've heard it said that the 16th Karmapa advised almost every center to do the 8th Karmapa Guru Yoga. Not sure about that. Not sure if that was meant as a preparation towards the Vajrayogini sadhana either. 8th Karmapa practice is very good (Thun Shi Lamai Naljor),not merely as a preparation for Phagmo, but also as a daily recitation. Maybe even "essential." don't forget to stop and smell the daisies. I don't know the answer to that. The practice I do is found in the Nalandabodhi practice liturgy. The original text was composed by Jamgön Kongtrul Lodrö Thaye - "The Mediatation and Recitation of Glorious Vajrasattva". I'm more of the one diety is all dieties kinda guy, and all dieties are guru yoga. My practice routine is guru yoga first and main practice, if I only do one session a day it will be guru yoga, after that my main annutaratantra sadhana practice for the second session, and dharmapala practices as last practice of the day so if I can get in 3 sessions a day I consider that a good day. Other than that I have my auxillary practices, other sadhanas, prayers, offerings, etc. Green Tara and Guru Rinpoche on certain days of the month, medicine Buddha on medicine Buddha day, sur usually twice a week. I'm very happy with my practices and will probably stick with my main sadhana for my whole life, haven't received any more empowerments in years but there a couple coming up I will try to receive. Would like to get into dzogchen eventually. The first few years I was pretty eclectic, this practice that practice, but after I settled into a definite routine and arranged my main practices and whittled down the stack to something very manageable and stuck with it then everything just came together, it made a huge difference in the quality of my practice I think, and everything was comprehensible and manageable, it was like the jigsaw puzzle scattered all over the floor was finally put together and hanging on the wall. There are soooooo many practices, I'm very obsessive about getting a complete picture regarding anything, if I'm into an author I have to have all his books, if I'm into a band I have to have all their records, I would spend hours in a record store because I would have to look through everything to make sure there was nothing I was missing. So vajrayana drove me crazy the first few years because I didn't want to miss out on anything but there's just so much to chew on. Then I put into practice what I knew intellectually, that the essence of the whole shebang was the same, up to dzogchen at least, after that everything fell into place and I settled down. I'm very very happy to have what I consider a well rounded 3 roots practice now and find it very manageable, even while coming home from the 9-5 world, as long as I don't veg out after work or get too distracted, wich happens, but I live a very simple life and want to keep it that way. I think finding one main diety practice really helps a lot if it's one you really feel connected to and gives you tangible results, something you can really feel, bringing it all down from the head to the heart and then sticking with it, keep it simple. Here are the main practices of the 3 year retreats currently being held at Palpung Sherabling in India. I was wondering you guys seem to have lots of different Guru Yoga practices how come ? 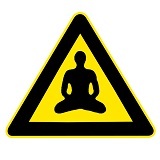 What are the effects of practicing different Guru yoga's I wouldnt know as I only practice one. Due to being's varying karma, various practices relating to different gurus may have greater or lesser karmic affinity with certain beings. Ultimately, though they are the same. In terms of details, the various Kamtsang guru yogas listed differ widely in certain aspects.......so again, different sorts of relationships. Also, here's a daily schedule for retreat. I follow this, fairly closely, when in retreat.